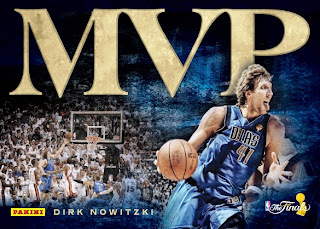 The Dallas Mavericks are this year’s NBA Finals Champions. 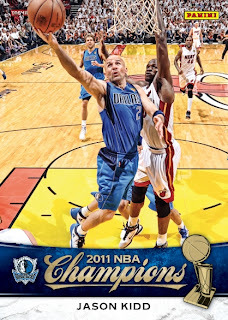 So far, they’ve done everything right. 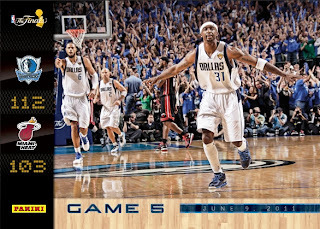 They’ve handled the taunts and mocking of the Miami Heat and shut them down in convincing fashion. 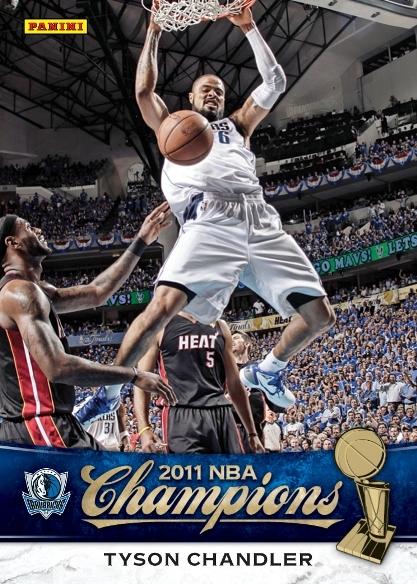 Mark Cuban has displayed some classy moves by letting his team’s play do the talking during the playoffs, giving the honor of receiving the Larry O’Brien trophy to the original founder of the Mavs, Don Carter, leaving a $20,000 tip for the wait staff of the post finals celebration in Miami and also picking up the tab for the Championship Parade through Dallas today. 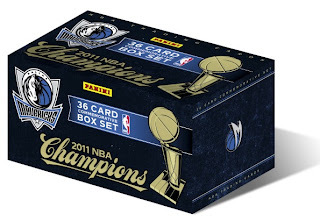 To celebrate the Maverick’s historic win in what turned out to be a tremendous NBA Finals, Panini America has created a limited-edition 36-card Dallas Mavericks: NBA Champions boxed set. These sets are available on the Official Panini America Online Store Site as a pre-order for $20. The expected availability if July 14, 2011. As a bonus, if you are one of the first 100 fans to pre-order this set, you will be entered into a drawing to win a special Dirk Nowitzki autographed memorabilia card limited to 25. Here is a look at a few of the cards followed by a complete checklist.